An investigation by the College earlier this summer found that H. Gilbert Welch, a professor at The Dartmouth Institute for Health Policy and Clinical Practice and a leading health policy scholar, committed plagiarism in his authorship of a highly-cited 2016 article in the New England Journal of Medicine. According to a June 14 letter written by interim provost David Kotz ’86, the College accepted the report of an Investigation Committee that found Welch to have “engaged in research misconduct, namely, plagiarism, by knowingly, intentionally, or recklessly appropriating the ideas, processes, results or words of Complainants without giving them appropriate credit, and that these actions represented a significant departure from accepted practices of the relevant research community.” Retraction Watch, a scientific research blog, first reported the letter’s existence earlier today in collaboration with Stat News. The letter is addressed to another TDI professor, Samir Soneji, who along with Hiram Beltran-Sanchez, a community health sciences professor at the University of California, Los Angeles, alleged that Welch used information Sonenji and Beltran-Sanchez gathered on over-diagnosing tumors during breast cancer screening for his NEJM article. TDI is a research center that focuses on the delivery of healthcare and developing public policies to improve health outcomes. Soneji alleged that after a giving a presentation on his findings in May 2015, Welch asked to use one of the slides for a class. Later that year, Soneji and Beltran-Sanchez submitted their study to NEJM but were rejected; a year later, Welch published a similar article in NEJM. When Soneji and Beltran-Sanchez tried to publish their study again that year in a different journal, they were told by a peer reviewer that the article was too similar to the one just published by Welch. In an email, College spokesperson Diana Lawrence wrote that the College “is committed to the highest standards of research integrity and expects all faculty members to respect the rules and norms of academic scholarship.” She declined to provide further information due to privacy concerns for the relevant parties. Welch arrived at Dartmouth in 1990 and serves as a professor at the Geisel School of Medicine, as well as an adjunct public policy professor and adjunct professor of business administration at the Tuck School of Business. Welch’s research on overdiagnosis in medical care has given him a reputation as a leading scholar of health care policy in the United States. The revelation of plagiarism comes amid an ongoing investigation of two other leading members of TDI — director Elliott Fisher and chief of strategy and operations Adam Keller — into workplace conduct. 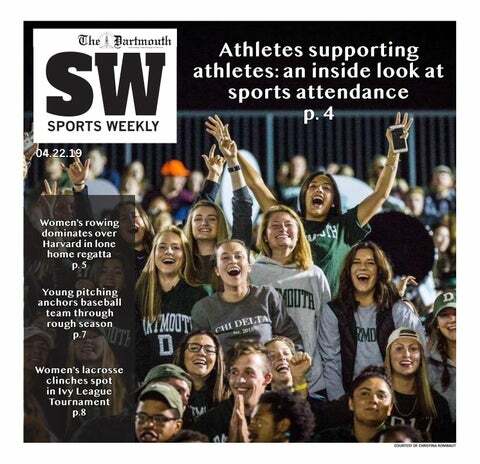 The Dartmouth reported on Jul. 31 that the two individuals have been placed on administrative leave and are barred from entering College property. Fisher is also a leading health policy scholar whose work on “accountable care organizations” was included in the 2010 Affordable Care Act.